This pleated satchel is great for working your way through the day with everything you need at your side. With multiple exterior and interior pockets, you'll be able to keep everything organized and in reach. The gunmetal-tone hardware gives the bag a little more impact on your arm, and the removable shoulder strap lets you go hands free when you have to pick up the pace. All colors feature pleated design, faux patent leather trim, chain detailed handle, matching topstitching, gunmetal-tone hardware and beige lining. All colors include removable adjustable strap. Madi Claire handbags offer a smart, stylish blend of modern fashion and classic functionality that fits perfectly with today’s multi-tasking lifestyles. Convenient features make these bags excellent for every day use, especially for women on-the-go. Large openings, inside and outside zipper compartments, cell phone pockets, key fob holders, and easy-access pockets for iPods, sunglasses, and other essentials help you stay well organized, no matter what’s on your schedule. While the functionality of a Madi Claire bag cannot be denied, neither can its fashionable style. This up-and-coming new collection includes a wide selection of fresh, creative designs boasting fashionable silhouettes, trendy hardware, and pleasing attention to detail. Tune in or shop online and introduce yourself to the sophisticated design and style of Madi Claire. You’re sure to find superior quality, style, and fashion, in a functional, easy-to-use bag. Madi Studio combines form and function with faux leather designs. Created for every woman's lifestyle, these chic handbags are offered at an affordable price. How many stitches are in the handle of a Madi Claire handbag? Guest Joanne Plessner could probably tell you. And if not, she would know where to find the answer. As regional sales manager for Madi Claire, Joanne is the premier authority on Madi Claire designs and a keen observer of fashion and handbag culture. 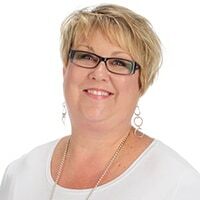 Joanne’s special mix of product knowledge, fashion savvy, and fun-loving personality makes her an ideal choice to present the Madi Claire collection. Prior to joining Madi Claire, Ms. Plessner worked in a variety of capacities throughout the apparel and fashion industries including as planner and buyer. Joanne has been with Madi Claire for 12 years, and has worked in every division of the company. Join Joanne on-air and discover the divine fashion and function of a fabulous Madi Claire handbag.